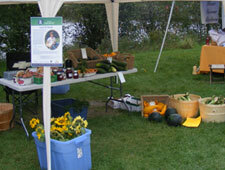 Enjoy fresh farm produce in season – many heirloom varieties. Farm raised spring lamb, individual cuts, by the half or whole. Saturday May 18th 2019 – Join us for opening day at the market. Free gift for the first 100 families to sign our new membership list. Celebrate Canada’s birthday with free cake and activities for little ones. Farrier-Blacksmith Demonstration by Mike Mehak, making horseshoes and forging other iron creations.